In our last lesson in this series we've learned about dynamic styles and classes. In this lesson we will be talking about computed properties and watchers. Sure this will work, but imagine if you a have lot of expressions like this in your template. This will make your template very difficult to maintain. When you are in the situation where you ended putting complex logic to your template that is a good indication that you need to use computed properties. 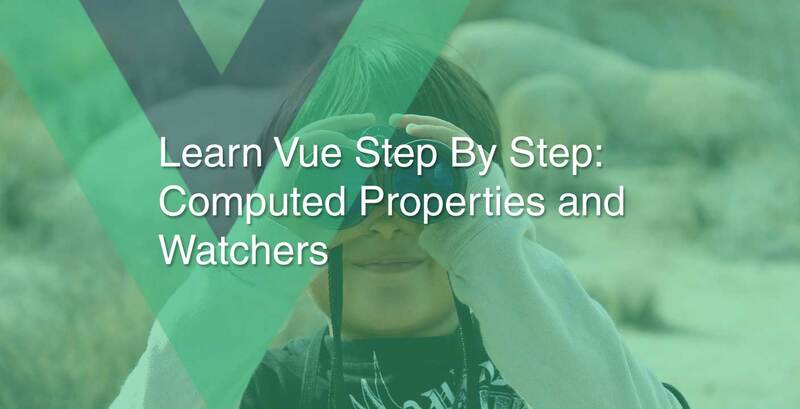 As you notice all your computed properties should be inside the Vue computed property. Also, computed properties are reactive and cached based on their dependencies. So, if the value of message property is updated the reversedMessage will be automatically updated too. Notice we're just simulating here the suggestions, but most probably it will coming from an ajax request but you get the idea. That's all for this lesson, for more information about computed properties and watchers you can refer to the official documentation. As always if you have any questions please don't hesitate to write it down in the comment below and see you in the next lesson. Thanks!